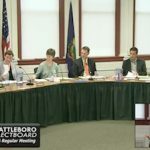 The Brattleboro Selectboard heard about a new, big grant for the skatepark project at Tuesday’s meeting, but it wasn’t enough to stop the re-scoping of the project and rejection of current bids. New timetable calls for a skatepark to be completed, maybe, by snowfall! 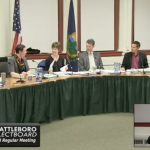 Heifers are permitted to Heifer this year, residents urge urgency on climate related matters, whistleblowers are now protected, the Emergency Plan has be readopted, financial matters attended to, and more. 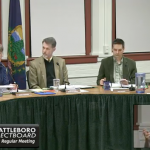 The Brattleboro Selectboard met on Town Meeting Day 2019 and spent most of the time discussing issues of water and sewer. 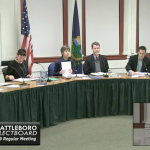 This included a rather substantial presentation by an apartment owner requesting a reduction in an abnormally high water bill, some discussion of the Hinsdale Bridge, some notes on odors and energy, and a hint that water and sewer ates may hold steady for a year. 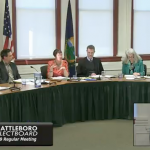 A full meeting for the Brattleboro Selectboard just prior to Thanksgiving. 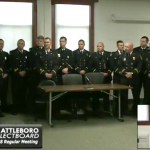 Discussions of the FY20 Budget, the Downtown Alliance, affordable housing, downstairs tenants driving someone nuts, and more took place, plus there was the introduction of a new 25 year plan for replacing town equipment, as well as a new suggestion to put some money aside, like a layaway plan, to buy future fire trucks. 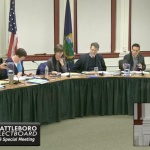 Tonight’s meeting of the Brattleboro Selectboard is being live blogged here as it happens. For fun! The parking garage, a.k.a. 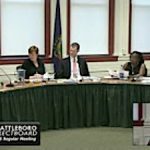 the Brattleboro Transportation Center, had center stage at Tuesday’s meeting of the Brattleboro Selectboard. Is it safe? Is it energy efficient? Is it bright enough? Should we add a permanent art project? How big is that ceiling? 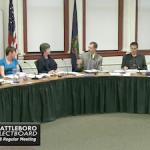 Is there something we can do instead of paying half a million for reflective paint? These are the issues of the day. 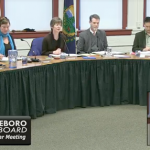 There was quite a bit of public discussion throughout, new energy projects were approved, and the vehicle for hire ordinance is on hold. But really, it was mostly about the parking garage. 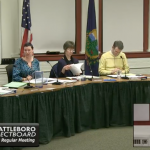 Brattleboro’s hoped-for deal with the State of Vermont for long-term lease and improvements to the Municipal Center has officially fallen through, according to the Town Manager. New options are being explored. 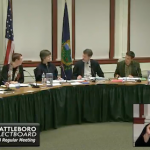 The Youth Vote will get a special meeting, Brattleboro’s bus schedule and routes are changing, two new dump trucks are being ordered, odors will be studied, and more. Plus disclosures. 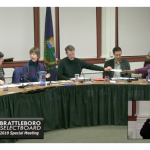 The Brattleboro Selectboard began discussing a repeal of a 2011 Town Charter change to stop counting local write-in votes unless the write-in candidate had declared an intention to serve. 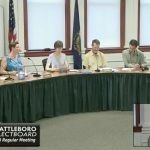 The board heard a semi-annual update from the Downtown Brattleboro Alliance, approved of paving, police cars, body cameras for police officiers, and disc golf improvements. 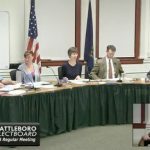 Snow sports at Living Memorial Park will continue, we have a new road in town, and new members were appointed to committees. Taxes are going up, as they always seem to do. 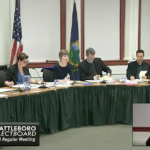 The Brattleboro Selectboard adopted the FY19 tax rates for property owners that were approved by Representative Town Meeting representatives earlier this year. 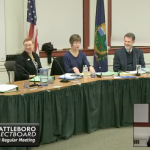 The $14.8 million budget includes both the essential items suggested by the Selectboard as well as some optional extras added in by the representatives. 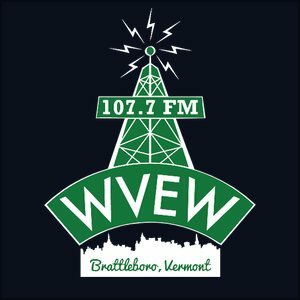 There’s also a new community collaboration that you can be a part of. 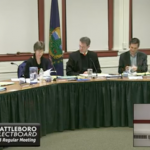 Project Care is a new effort in Brattleboro to help addicts recover and do well. 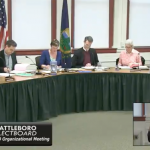 And, in case you are curious, setting the tax rate during a heat wave calls for casual attire.